The years… they come and go faster than Lindsay Lohan‘s court appearances. But 2012 was special. 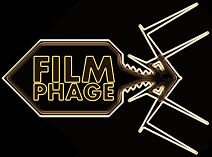 It was the year that Film Phage entered the universe, kicking and squealing at the bright lights… once again, just like Lindsay Lohan. And as is traditional at this time of year, I think it’s apt to take a retrospective look at the year that was and hand out the coveted Phagees [pronounced fay-jeez]. In this, the First Annual Phagee Awards, there are a number of categories and prizes up for grabs – none of which are worth the paper they’re printed on, or indeed, the pixels they’re displayed on. Loyal readers who’ve been with us from the start will know that our birth was only in the middle of the summer, so the films released in the first half of the year were in the months BP (Before Phage) and as such, have no reviews. We’ve been thinking long and hard whether it’s right to include these “unreviewed” films in our awards, and we came to the conclusion that yes… yes it is right. If you disagree, then please write to the Awards Committee at thisaddress@doesntexist.com and make your voice heard! In each category, we have up to 5 nominees from all the films released this year. But there can be only one winner in each! Also, we’re running with the UK release schedule – we got some 2011 films in 2012 and won’t sadly be getting the likes of Zero Dark Thirty, Lincoln and Django Unchained until 2013! Regardless, let’s get this show on the road! Now, as my loyal Phagelings know all too well, I’d be more than happy if they cast Tom Hardy in every movie until the end of time and 2012 really has marked his arrival with the mainstream audiences courtesy of his roles in The Dark Knight Rises and Lawless. I think the guy is a sheer force of nature, which is why we’ve awarded him the 2012 Best Male Actor Award. Not just for his subdued and stunning performance in Lawless, but also for his sheer presence and abilities as Bane in The Dark Knight Rises. I do however have to give much credit to the young Pierce Gagnon. I’d be very tempted to give him the prize owing to his skills in Looper, but I think there’s more to come from this little guy. I want to see what his next move is. Having looked through all the releases that have dropped in the UK this year, I’ve got to say that it’s something of a paltry selection for Best Female Actor this year. In the US, you have Zero Dark Thirty, Lincoln and Les Miserables already released. But here? No such luck. That being said, Jennifer Lawrence has really come into her own thanks to that performance in Silver Linings Playbook and is totally deserving of the Phagee here. I really enjoyed her performance here and the chemistry and back-and-forths between Bradley Cooper and Lawrence made for a sleeper hit for the year. Glad to see she’s being recognised in the “real” Awards Ceremonies in the world too. What a year for the comic book fan! Ultimately though, this came down to a two horse race between Marvel’s Avengers Assemble / The Avengers and DC’s The Dark Knight Rises. Although I found the dark tone and Tom Hardy‘s portrayal of Bane in The Dark Knight Rises to both be particularly appealing, you’ve got to hand it to Marvel Studios for pulling off the film that many thought would be too big and too grandiose in scope. But Joss Whedon scripted and directed one hell of a film. I must confess, I’m a Marvel fan boy, but who didn’t laugh at Hulk’s squabbles with Thor and Loki? Or feel the “ooo, this is awesome” sensation upon seeing the trailer for the first time. Be honest! And with the quick glimpse of Thanos in the closing credits… well… I can’t wait for Joss‘ next script and instalment in 2015. We’ve had some truly bizarre search terms bringing people to Film Phage this year. Some of you are rather odd. Let’s just say there’s been some extremely peculiar terms entered into Google! Whilst lots of people were searching for a glimpse of Sofia Vergara‘s cleavage, courtesy of The Three Stooges, she didn’t bring us the most traffic. No, that honour went to the young Pierce Gagnon thanks to his sterling turn in Looper. However, it was nice to see that some of my odd comparisons this year also brought in the traffic. Hundreds of people still want to know if Kevin Dillon aka Johnny Drama from HBO’s Entourage is in Sinister. I’ll again answer this… no, it’s just Ethan Hawke doing his best Drama impression. Similarly, no, Ron Perlman does not voice Gutt the pirate-ape in Ice Age: Continental Drift – that honour goes to Peter Dinklage. So many of you also were trying to hunt down pictures of Ron Perlman shirtless / in his younger years / grinning. You crazy bunch. Wow, there really were some stinkers this year – even before Film Phage launched. And no, I didn’t think The Muppets was fun either. I fell asleep for the first time in a movie since I was about 4 years old. But the dubious honour of “Worst Film of the Year” goes to Keith Lemon: The Film. Never have I been so bored and unentertained in a comedy movie. Even the teenage target audience were walking out of the screening before the 1 hour mark was up. Maybe Kelly Brook should have opted to somehow appear in Piranha 3DD after her turn in the original Piranha 3D, instead of opting to guest in this. Not “bang tidy”. And so we arrive at our biggest Phagee: The Film of the Year. It was tough. Real tough. Although Killer Joe was the first film reviewed here on Film Phage, it still remains one of the year’s best for me thanks to McConaughey‘s performance. However, my film of the year rests with Looper. I know… a controversial choice. Although I loved Avengers Assemble and really think it achieved so much, it had a rather basic plot. I understand that this was probably needed as it was essentially an “Avengers Origins” movie, but it still lacked a riveting story. Looper cannot be accused of the same. Yes, it has its plot holes, but it also has Pierce Gagnon. And Bruce Willis back at his best. And Joseph Gordon-Levitt pretending to be Bruce Willis back at his best. We enjoyed every moment of the film and brand it with our Phagee for Film of the Year. What were your most enjoyed films this year? I’m sure many of you have opinions and your own favourites. I’m also sure many of you disagree with me on my big Phagee winner of the year: Looper. I’ve yet to see it figure anywhere else in any other poll of the year. Controversial? Probably. But I bloody enjoyed it… and that’s what matters.